One of the problems plaguing companies developing self-driving vehicles is lidar. Laser-based radar technology isn't developing fast enough for many in the industry, slowing the arrival of autonomous cars. The high cost and low durability of lidar sensors on the market have prompted some companies to avoid the technology, perhaps by coming up with their own silver bullet. Waymo's trade-secrets lawsuit against Uber, which snowballed into one of the biggest legal battles in the development of autonomous vehicles, centers around lidar. Waymo claims to have created a superior system, and its battle with Uber shows how valuable that solution could be. "Waymo has invested tens of millions of dollars and tens of thousands of hours of engineering time to custom-build the most advanced and cost-effective LiDAR sensors in the industry," the tech giant wrote in its initial complaint filed against Uber. While the battle between two Silicon Valley behemoths drags on, sensor suppliers are working to find their own solutions to the cost and reliability problems, hoping to have a production-level lidar sensor on the market to meet automaker timelines for Level 4 autonomous vehicles — and stake a claim to what Boston Consulting Group estimates to be a $77 billion market by 2035. Lidar technology has been around at least since the 1970s, when NASA used lasers to measure atmospheric properties. Now, companies working on automated driving systems use it to create 3-D renderings of a vehicle's surroundings, which helps the car locate itself and detect surrounding objects. "To achieve autonomous driving, you need more than the current driver assistance sensor suite of camera and radar sensors," said Akhilesh Kona, senior analyst at IHS Markit. "Lidar is needed to increase the degree of confidence." Lidar has big advantages over other sensor systems. Camera sensors are subject to the same limitations as the human eye, stymied by low lighting and distance. But lidar sensors produce their own light source, enabling them to function at night and in poor weather conditions. Radar sensors can detect how far away an object is, but can't determine what it is or if it's moving. Lidar sensors emit millions of lasers per second, known as pulses, instantly measuring the size, distance and movement of an object. 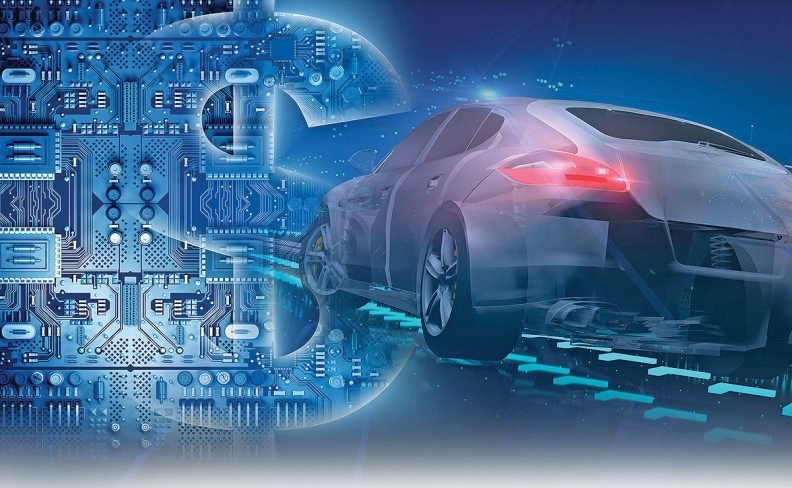 Kristin Schondorf, executive director of automotive and transportation mobility at EY, said lidar's high resolution and range gives manufacturers the "redundancy" needed to take a human out of the driver's seat. Though lidar technology solves many problems of current sensor technology, it still hasn't met the requirements for mass production for vehicles — even after decades of development. "The real job stopper is lidar's cost and size," Schondorf said. "Having it cost tens of thousands of dollars is not feasible if you're trying to get it to mass production." Most autonomous vehicle prototypes have a mechanical lidar sensor on the roof — recognized as the spinning coffee can design Velodyne introduced during the Defense Advanced Research Projects Agency, or DARPA, challenge races beginning in 2005. Those sensors contain spinning laser beams that are bounced off mirrors and through high-quality glass panels. "It's almost like you're spinning a very expensive piece of jewelry," said Louay Eldada, CEO of lidar supplier Quanergy. In addition to the cost of the components, most mechanical lidar sensors on the market have a range of only 60 to 100 meters, or 66 to 109 yards. Analysts estimate a range of 250 meters ensures safe detection of obstacles at highway speeds. To increase range, manufacturers must increase the power of the lasers, which can harm the human eye when they reach a certain level. Automakers are also wary of placing a large, constantly moving part on production vehicles — especially one that needs to survive extreme weather conditions to ensure the safety of the car's occupants. "Automotive is a tough industry," IHS' Kona said. "Any technology you want to produce for automotive needs to meet these very stringent requirements." To address these obstacles in time to meet automaker deadlines for autonomous vehicle deployment, lidar suppliers are working to do more with less. Velodyne Lidar and Quanergy are developing solid-state lidar, which is a smaller sensor without moving parts, and uses a different light source to mitigate range and eye safety problems. Velodyne Lidar announced plans for its solid-state lidar in April, claiming a range of 200 meters and a cost per unit in the "hundreds" of dollars. The sensor is to start mass production at Velodyne Lidar's plant in San Jose, Calif.
"We've had a 10-year head start on most of our competitors," Velodyne Lidar President Mike Jellen told Automotive News. "And we have a solid road map for innovation for the next five to 10 years." Included in this road map is the company's partnership with Swedish supplier Autoliv, which will improve its manufacturing capabilities and drive down costs, Jellen said. Eldada said Quanergy had been granted the patent for its core solid-state sensor technology, and its automotive-grade sensor — priced between $250 and $900 — will begin production in September 2018, through a partnership with sensor maker Sensata Technologies. "It took us 27 years to bring solid-state lidar to market," said Eldada, who began working on the technology for the U.S. Department of Defense in 1990. "We're creating a chip that's easy to calibrate for millions of directions and spot sizes. It's even more difficult than it sounds." Lidar startup Luminar Technologies, which was founded in 2012 but officially launched in March, is still betting on mechanical lidar, but simplifying the design to increase efficiency. "The way that everyone is trying to get lower prices is to sacrifice the performance of sensors dramatically," said Austin Russell, Luminar's CEO and founder. "It's a lot of repackaging and tap dancing." Russell said that by starting its design from scratch, Luminar has developed a sensor that can detect objects 200 meters away with 10 times the resolution of the average lidar with a single scanning laser. The supplier plans to produce 10,000 units by year end in Orlando. Regardless of how they get there, the company that can hit the sweet spot of high power and low cost has much to gain by staking its territory in the first generation of self-driving cars.